WASHINGTON — President Donald Trump continues to enjoy robust support within the Republican Party, but about a third of his own political partisans still say they would prefer a different Republican at the top of the ticket in 2020, according to a new survey from the Public Religion Research Institute. Three in ten Republicans — 31 percent — say that they’d like to see a different GOP nominee in the next presidential election, while 63 percent say they’re happy with the current president running for reelection as the party’s standard-bearer. While Trump’s support for reelection is solid among those who backed his 2016 run, he has done little to assuage the concerns of Republicans who supported one of his opponents during the 2016 GOP primary. 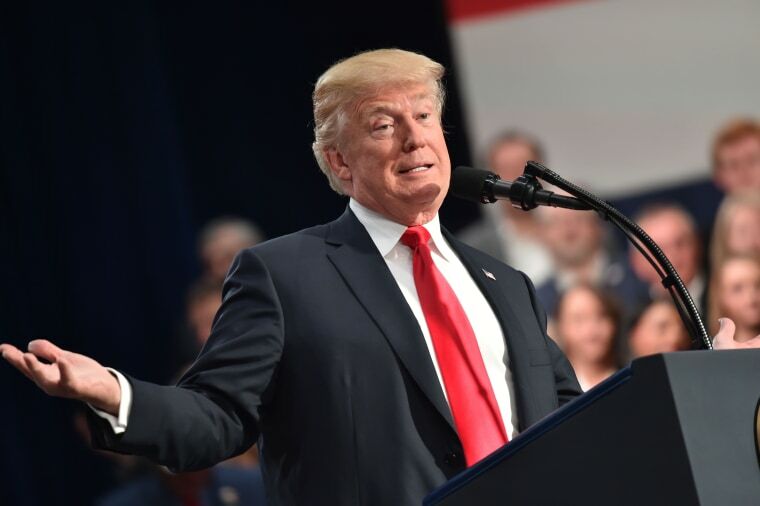 Among Republicans who didn’t back Trump’s primary run, 60 percent say they would prefer to replace him on the ballot for 2020, while just 34 percent want him to be the nominee. The new survey finds that Trump’s stalwart base — those who backed him during the 2016 primary and support his reelection — stands at about 40 percent of Americans who identify with or lean toward the GOP. About 18 percent of Republicans and Republican-leaning independents declined to support Trump in 2016 or for the 2020 primary contest. The divide appears to map onto the strength of those partisans’ level of attachment to the GOP. About three-quarters of self-described “strong” Republicans want Trump to be the nominee in 2020, compared to only 42 percent of Republicans who are not strongly attached to the party. Trump’s polarization of the American electorate could also have significant ramifications for the 2018 midterms. Forty-four percent of registered voters told the pollsters they would support the Democratic candidate if the midterm election were held today, compared to just 37 percent who said they would choose the Republican. Trump’s overall approval rating in the PRRI study remains historically low, at just 41 percent. A similar percentage of Americans overall — 40 percent — believe that the president should be impeached and removed from office. Among those who approve of Trump’s job performance, 37 percent say there’s nothing Trump could do to lose their backing. That includes 30 percent of white evangelical Protestants, one of Trump’s most loyal constituencies. But among those who disapprove of Trump’s job performance, 61 percent say there’s almost nothing Trump could do to win their support. The PRRI survey was conducted between October 18 and October 30, 2017 with a sample of 2,019 adults.